On Saturday night I filled up the boiler for an early morning beer brew to see if I could be over and done with by about 11:30am. I was. I was infact over and done with by about 10:30am, but started on another project, sorting out the fermentation chamber. What is a fermentation chamber and why would you want one? There’s two answers to that question. The first and arguably the most important is that it gets the fermentation vessel out of our guest bedroom where it won’t disturb anyone. 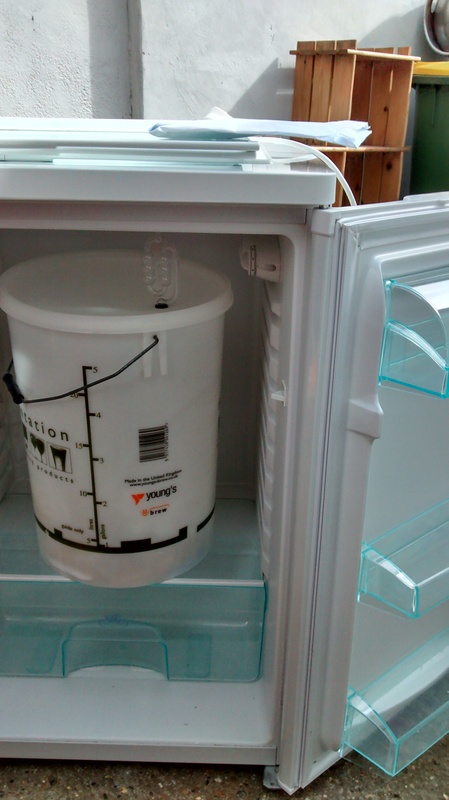 To make a simple fermentation chamber you need a working fridge and a heater of some sort. I settled on a fridge from eBay and an old heating belt I had lying around. You’ll also need a controller. Many opt for an STC-1000 which is a great bit of kit. It’s easy to hook up – you just set your temperature and off it goes. Trouble is, it needs you to be around to monitor it. If I want a brewing profile to start at 23’C for two days, then drop to 16’C for 6 days then crash cool to 2’C, I have to press the buttons physically. It’s not possible because my commute (currently 3hrs each way) mean I’m spending more time in hotels than at home. So it needs to be remotely controlled. Something like this would normally cost hundreds if not thousands of pounds. It’s not a commercial bit of kit and therefore not mass produced because professional brewers don’t tend to log into their brewery at home to control their systems. I think. Brewpi is a fantastic bit of software that integrates an arduino uno and a raspberry pi to control temperatures. The raspberry pi (this is a circuit board and nothing to do with edible pie) provides a web interface whilst the uno does much of the work. It’s a bit of a cheek to call it a brewpi when the uno is doing most of the control, but the pi interface really does a nice job of formatting the data. It’s all very much DIY. 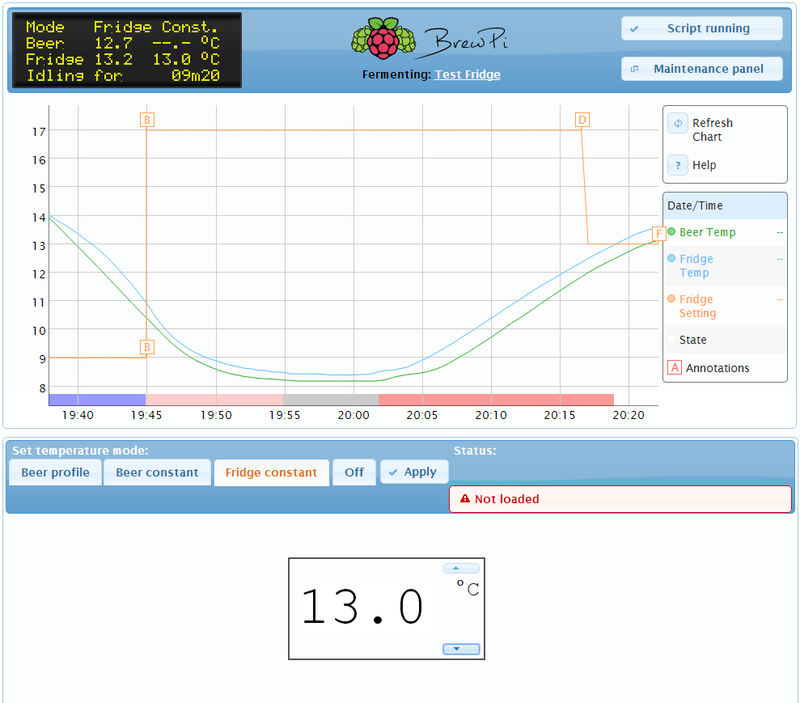 Link the brewpi up to some sensors and some SSRs to drive the fridge and the brewing belt and hey presto, fermentation chamber. The build took about 6hrs to complete including two trips to Maplins about 20 minutes down the road and I’m very pleased with it. I can control temperatures from my laptop no matter where I am in the world. For those that are interested the fridge runs at 110w and the heater at 25w. They’re on for short periods of time (10-15 minutes max). At 240v the fridge uses about 0.6a and the heating belt about 0.1a. To maintain a hot temperature the heater will run for about 5 out of every 10 minutes. It would take about 40 hours to use a unit of electricity (about £0.12?). Similarly the fridge runs for 5 minutes out of every 30 and uses a very similar amount of electricity to maintain a temperature and would take about 45 hours to use a single unit of electricity. Unless my maths is off. This is with an ambient external temperature of 14’C and a 20’C or 4’C temperature respectively. So the next step to really good beer is water quality and temperature control! To do this a good way is to use a fridge or freezer and a temperature controller. Fridges make excellent fermenters because you can use the light bulb to heat and the fridge element to cool. 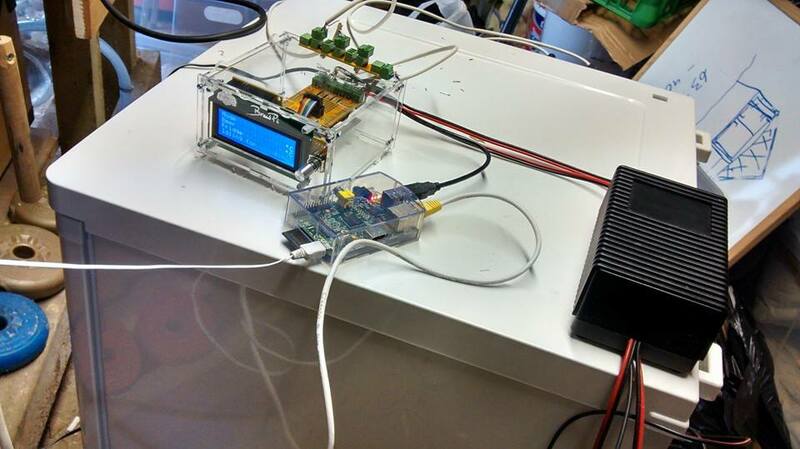 The brewpi uses a raspberrypi and an arduino. 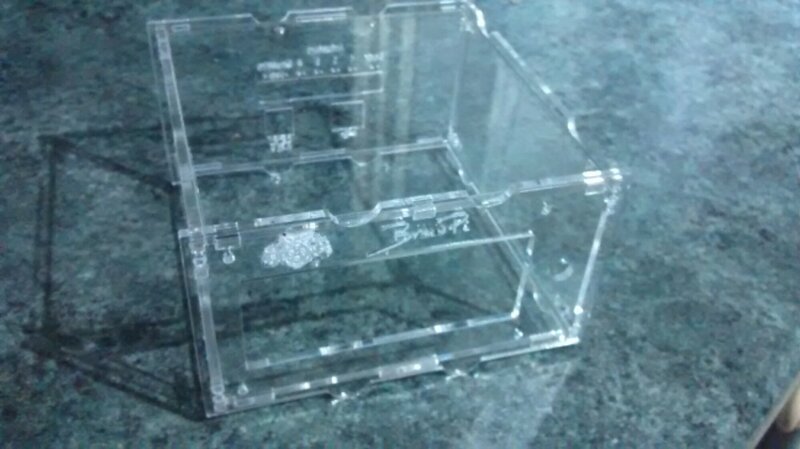 The software is developed and all you need is the hardware and a good project box to hold it all in. 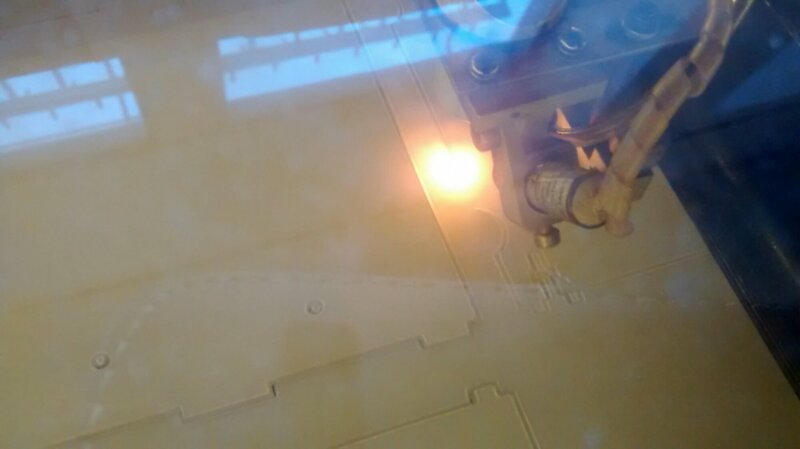 So on a visit to the London Hackspace to watch some beer being brewed I was happy to be shown how to make the box on the last cutter. Now just need a fridge, some ssrs and a temperature probe or two! Water quality wise I have hard water… and the analysis goes on!